Fiber travel is definitely a thing -- as evidenced by scrolling pages of endless search results for every combination of knitting, weaving, dyeing and sewing retreats and workshops. We’re happy to share our something-for-everyone starter list of the year’s most wanderlust-inducing, skill-sharing, soul-satisfying, and wildly exciting fiber retreats out there, spanning locales from the deep forested wilds of Maine to the glaciers of Iceland (literally). See you there? Led by New York-based yogis Alex Sharry and Kumi Sawyers, this week-long retreat on the staggeringly beautiful South Shore of Nova Scotia combines Asana yoga and meditation with natural dye and shibori workshops by Kalen Kaminski of Upsate. 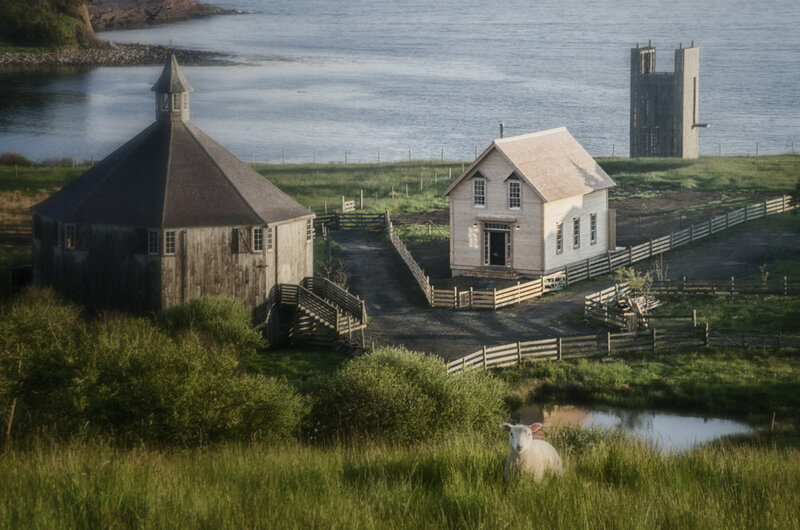 The Shaboc Cottages, where the magic happens, is a former (and once abandoned) fishing village and farm with wooden modernist-meets-rustic structures (left) inspired by vernacular architecture and building materials. There’ll be plenty of time to simply enjoy the surrounding nature and beaches. July 6-13, 2019. As you learn the intricacies of traditional Maine mitten history and construction from expert knitter Mary Jane Mucklestone (known for her color-popping Fair Isle patterns and knitting books), you can also learn to start a fire with flint and steel, use a compass, or fly fish from one of the other instructors participating in this wilderness-centric, four-day “landing” retreat. She calls it “landing” in honor of nurturing a relationship with the land and connecting to place. And in this case, the place is a rustic, classic camp deep in the Maine North Woods, on a lake and surrounded by 3.5 million acres of forest. Aug. 10-14 and 14-18, 2019. The Cabbage School (right) is a self-professed “rigorous skill-based fool school” dedicated to craft in the hills of North Carolina, with an unconventional, fireball roster of workshops ranging from Appalachian-style Broom Making to the Art of Bathing. In September 2019, students will descend on an enlightened three-part textile adventure, broken into separate segments dedicated to spinning, dyeing and weaving. Guided by founder, instructor and “wildcat weaver of humans and threads” Jessica Green. Sign up for a portion or for the entire series. Sept 2-16, 2019. 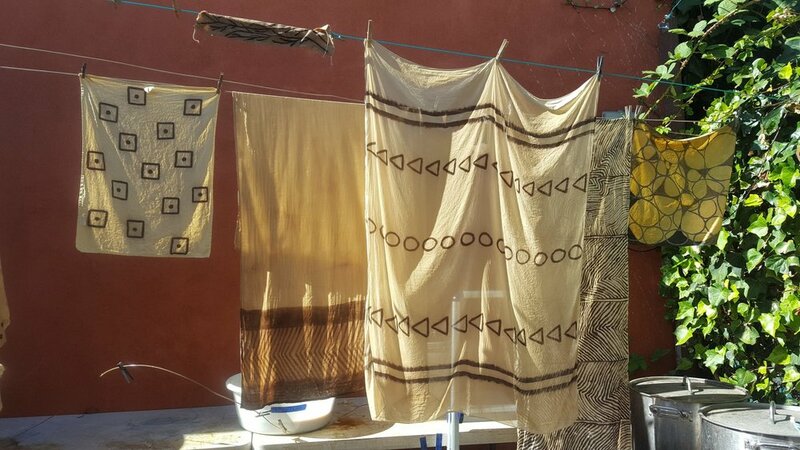 This cultural embroidery retreat, organized by Threadwritten’s Sarah Pedlow, is as much a deep-dive history lesson into the craft and traditions of Portugal as a skills-building embroidery workshop. With homebase in a Minhos farmhouse, the retreat will explore the traditions of embroidery, weaving and the clothing of the lavradeira (local farm girl of the 1800s). A week-long itinerary bursting at the seams (sorry) with studio visits, stitching projects, and additional artisan workshops will end with the annual Mordomias parade— part of a traditional folk festival and featuring women in traditional costume. August 10-17, 2019. For the most intrepid knitters of the bunch: Glaciers, hot springs, northern lights, and actual knitting ON real ice. Author, pattern-maker and tour guide Hélène Magnússon, who is also something of an Icelandic knitting celebrity, leads this madcap adventure in the south of Iceland. Knitters will stay in a rustic country guesthouse with a grass roof and lots of sheep, while delving into the intricacies of the traditional Icelandic lopi yoke sweater, the Lopapeysa. If any of this sounds daunting, consider the hot geothermal river you will soak in as a reward. Nov. 6-12, 2019.